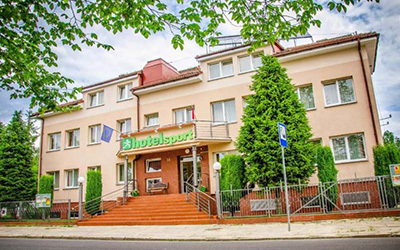 The architecture of Sympozjum Hotel is modern and elegant, perfectly blending into the surrounding of the peaceful quarter of Cracow. 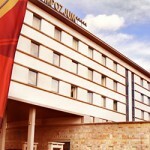 Our distinguished guests will certainly recognize the exceptional place where Sympozjum Hotel is sited. We offer you 80 luxury rooms: 73 double rooms, 2 professionally prepared rooms for the disabled and 5 elegant suites. The sublime and very aesthetic interiors induce admiration and finely blend into the elegance of whole complex. 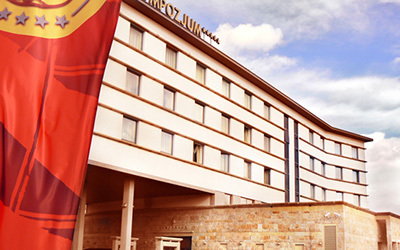 Sympozjum Hotel as an ideal place of business meetings, conferences and training sessions has professional back-up facilities according to most modern standards. Any configuration of two conference rooms enables to arrange from two to seven smaller rooms ready for 600 persons with perfect service. Each room has air conditioning and the newest generation conference equipment – wireless microphones, multimedia projectors, lecture projectors, screens, slide projectors, audio-video equipment, computer equipment and conference translation equipment. 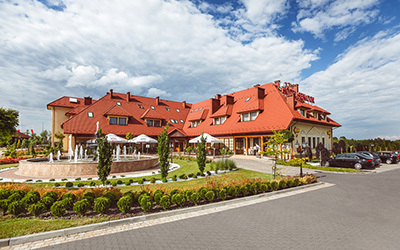 Industrial television system enables transmission to all rooms, restaurant and lobby, fast Internet connection ensures full professionalism and comfort.